“What two letters of the alphabet are there, that express perfection?”, Mr Weston asks the group at Box Hill. He is not an especially intelligent or astute man, and yet he hits the nail right on the head with this question. For the answer, of course, is “M. and A. – Em-ma”. He means the woman, but his words can also be taken to mean the novel to which she gives her name. For Emma by Jane Austen is the perfect book. In my view, no other novel can equal it for brilliance, depth of psychological perception, understanding of human nature, unrivalled use of language that never wastes a word, and utterly sublime romance and comedy. No other book has ever meant as much to me – it has shaped my life and way of thinking, provided me with behavioural models (sometimes also teaching me how not to behave), and it has given me such unutterable reading pleasure. My grandmother loved this book. My mother had a little red copy that was never far from her side and often when she came to pick me up in the car, she’d have a big smile on her face because she’d just been dancing at the Crown Inn, or the gypsies had frightened poor silly Harriet, or Emma had forgotten to think of the rights of her nephew Henry. Together my mother and I used Emma almost as a code. After one horrific wet weekend staying with a woman who hardly drew breath, she rang me and announced, “Dear, Miss Bates is alive and well!”, and we both knew exactly what she’d gone through. In December 1815, the Morning Chronicle announced the forthcoming publication of a novel named Emma, and soon afterwards the world became a better place in which to live – Emma was available. 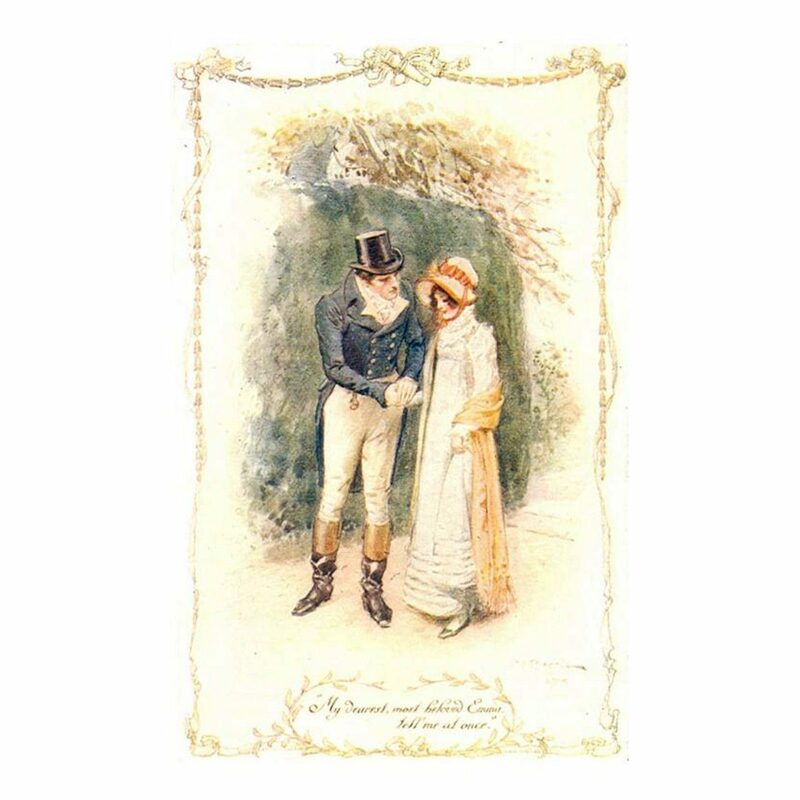 The novel covers a period of fourteen months, from September of one year through to the November of the next (probably the years 1813 to 1814). 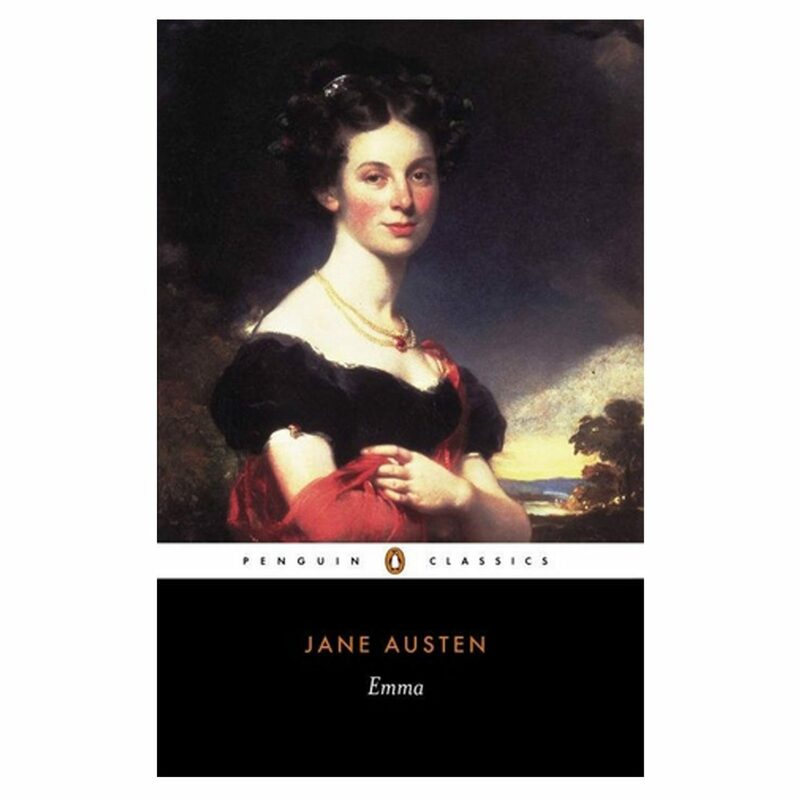 Emma was well reviewed, praised by the eminent Sir Walter Scott, and critics almost invariably rank it as her greatest novel. 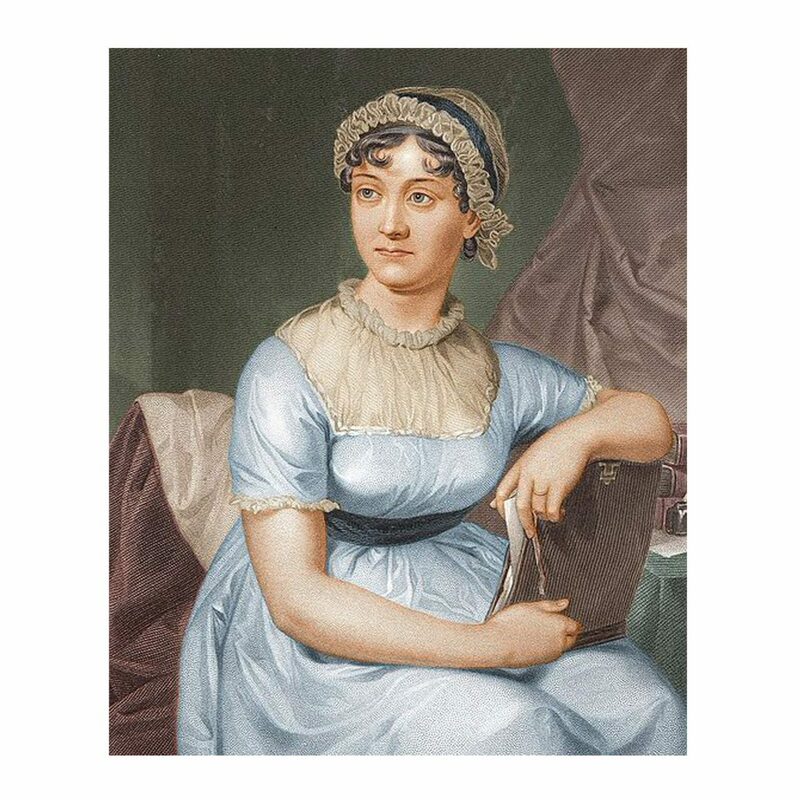 During her lifetime, Jane Austen made only about £40 from Emma. A copy cost £1, 1 sh. It came out in three volumes. First editions today sell for small fortunes in auction houses. The Americans pirated the English edition and the French brought out a very poor translation as La Nouvelle Emma. Emma is a book that demands to be re-read at least once a year. It changes lives, it enriches lives, it improves lives, it provides friends. It is “the book of books” and in the world of literature it reigns supreme. I adore and worship Jane Austen’s Emma and writing about it has been utter joy. This is a ‘bumper’ guide as I had so much to say, and I must warn you it contains many superlatives (how can you not use superlatives when discussing that book?). I try to explain its power, charm, brilliance and importance, and attempt to do justice to its perfections. You may not yet have fallen in love with Emma. Hopefully, my guide will persuade you to do so. Discuss this outstanding book with your book group or even with me by leaving a comment below. Claire Tomalin talks about her biography, Jane Austen: A Life at 92nd Street Y-Unterberg Poetry Center. Listen to Susannah Fullerton and Margot Riley from the State Library of New South Wales talking fans, flirting, manners and majesty in Jane Austen with ABC Nightlife’s Sarah Macdonald. 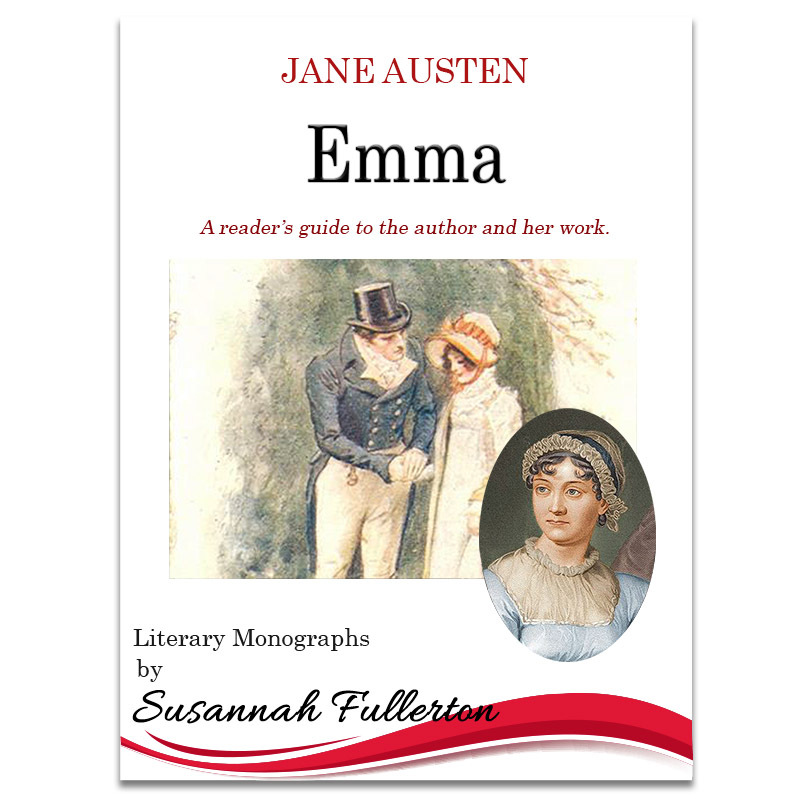 Continue the story of Jane Austen’s life and what is, in my view, the most perfect book ever written, in my full-length Literary Readers Guide to Jane Austen & Emma which can be purchased for just $4 from my shop.